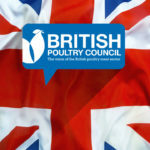 Poultry meat production in the UK is a success story. 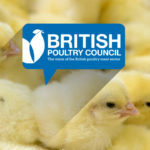 It’s unsubsidised, produces high quality and nutritious food, and has a choice for every price point to suit any pocket. 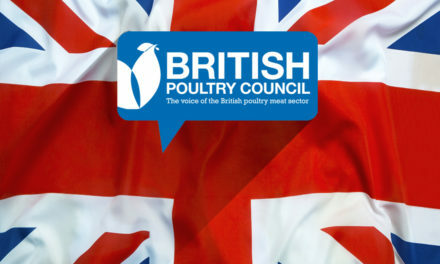 Poultry is half the meat eaten in this country and is bought by over 95% of UK households. 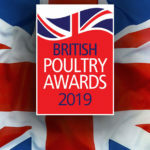 Poultry meat has to be part of a lasting, sustainable British food system that does not price anyone out of food but still provides the choice and quality we want. 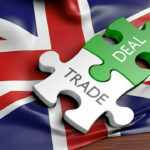 As for many other sectors, Brexit is creating major challenges that, if not solved, have the potential to shatter the structure of our industry. 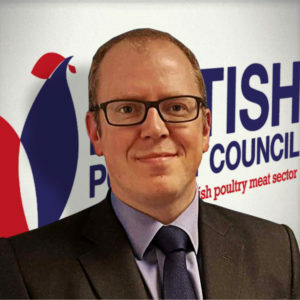 If we cannot find a solution to labour (60% of our workforce is non-UK) and trade (the value of our exports has an effect on UK prices) then we run the risk of creating a two-tier food system where only the affluent can afford British food – produced to our high standards – and those less well-off have to rely on imported food possibly produced to lower standards. Being able to feed ourselves, in every part of society, feels right at a visceral level. While we await the first Agriculture Bill since the 1940s, and look forward to a Government Food Strategy, we must not forget that the purpose of food production is to feed people. We have to do it well, sustainably and responsibly, but if our food system does not alleviate hunger then it is not working properly. 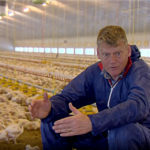 We have to ask what responsible businesses look like at a time when on one hand we are among the most affordable nations in the world for food (Oxfam: The Food Index), and on the other we have seen a 13% year-on-year increase (April to September) in the use of foodbanks (The Trussell Trust). We must use our strengths to build a food system that works for everyone and reverses the rise of hunger in this country. 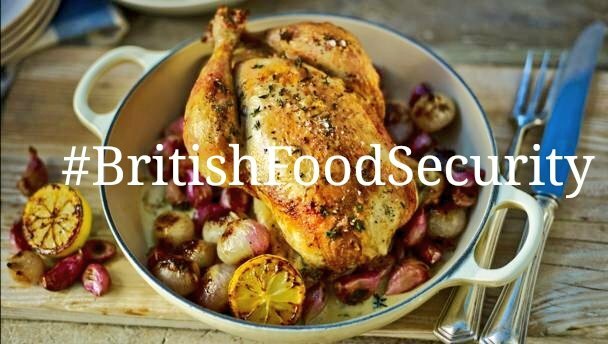 British food must be at the heart of our society. We are in danger of normalising hunger. Every day people go to bed hungry; parents make the choice to forego a meal, so their children don’t have to; a school dinner is the only hot food that some kids get; more of us are driven to use food banks; and in-work poverty is challenging the affordability of even basic food. This is not, and should never be, normal. Poverty always has its roots and its solutions in money, but food is often an early victim, in quality, in sufficiency, and in accessibility. Whether as a result of changes to benefits, employment uncertainty, unexpected bills, or ill health, a person’s inability to feed themselves and their family is a direct correlation. The struggle for nutrition is a downward spiral for health, family cohesion, and the ability to work. 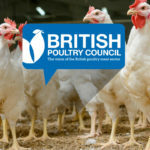 We are not just an add-on to the social fabric of this country, we are part of communities, as employers, as well as producing the food that feeds the nation. As businesses we are but one part of the triumvirate that should be in balance for a healthy society, alongside communities and government. These core components have drifted apart and we see too much emphasis on one or other of them, instead of the required partnership between all three. In hunger there has emerged a strong charitable sector within communities. This is populated by a lot of amazing people and organisations, all doing fantastic work; not just in ensuring hungry people eat, but in providing a gateway to services such as financial or mental health support. The giving and sharing of food reconnects people and brings our humanity back into focus. The food sector is rediscovering its social purpose, both as employers and as producers of food, just as parts of government seem to be disengaging with hunger. Foodbanks and hunger are becoming normalised in society, and serious political thought is backing away from this issue. Whether there is simply not enough political bandwidth, or it is too difficult a subject probably doesn’t matter. What is important is that hunger is being abandoned to whatever the charities can achieve. Yes, charities are doing wonderful work but every single one of them would happily cease to exist if their services were no longer needed. There are individual politicians still fighting hunger, but they have somewhat limited structural support. Emma Lewell-Buck MP’s Bill on Food Insecurity is slowly making its way through Parliament but is being blocked by delay and rescheduling as Brexit dominates the domestic agenda. The premise of the Bill is simple, that if we measure something then we’ll do something about it. But even that simplicity is being kept at arms-length. It is disturbing that a basic human need is not receiving the political attention it deserves. Industry is trying to fill some of the gaps left by government. We’re trying to understand how food poverty, public procurement, and retail are all part of the same system, and how the successes at the commercial end can support the areas where hunger is an issue. The good news is that we already have robust supply chains so infrastructure in this country should not be the challenge. Our biggest hurdle is how we harness the collective will to take responsibility for acting. We all think “I’m only one person/organisation/company, so what can I do?”, but we should be able to coalesce around the simple message that hunger is unacceptable in our country. We have the standards to deliver sufficient high-quality food in this country, and British food should be given the opportunity to step-up to the mark. 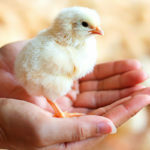 We also have values, by which we say what we want from our food, be that production that respects the environment, good animal welfare, or requirements for health and nutrition. We do need to import food as we are not self-sufficient, but the best starting point is always going to be food that is local, regional, and national; where our domestic industry is vibrant, transparent, and trustworthy. Responsible businesses have to look beyond Brexit, even as we fight to avoid the damage it is causing. 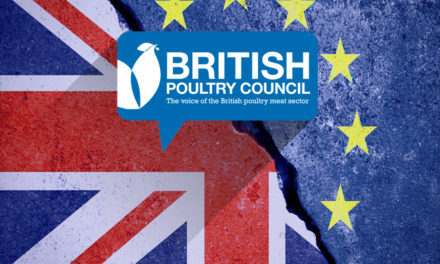 So as a food sector we, and UK food and farming as a whole, must have a vision that supports our standards and values and drives a marketplace that doesn’t leave anyone behind. A rationale that reminds us why we produce food, and that every action we take must drive towards delivering a unified vision, one presented very simply by End Hunger UK: that nobody in this country should go to bed hungry.